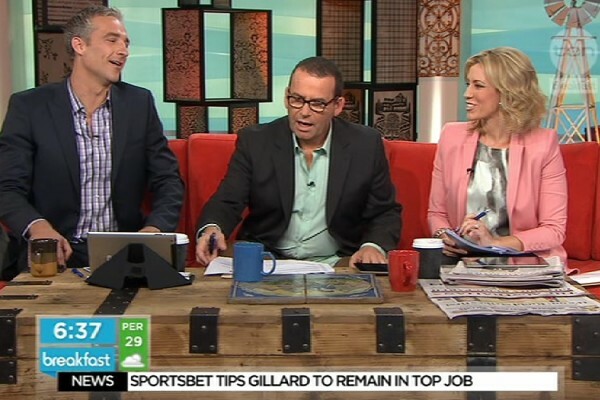 Seven has announced that Dr Andrew Rochford will join the network�s news team in the role of Seven News Health Editor. �Dr Rochford comes to Seven after previously being contracted with Ten where he featured on programs such as the Project and the now defunct �Breakfast. Channel Seven today announced medical expert Dr Andrew Rochford will join the network�s news team in the role of Seven News Health Editor. Dr Rochford will deliver reports on medical news and health issues for Seven News nationally, drawing on the strength of his experience as both a broadcaster and medical practitioner working on the frontline at Royal North Shore Hospital in Sydney. In his new position, Dr Rochford will also file special reports for Seven’s flagship news and public affairs program, Sunday Night, Sunrise, as well as exploring broader opportunities at the network. .
Further developing Seven�s leading news coverage, Dr Rochford�s appointment follows the recent opening of a London Bureau and the appointment of an Asia correspondent in Hong Kong. Network News Director Rob Raschke said: �Seven News is dedicated to investing in news and our team of reporters is the best in the business. Dr Rochford said: �There is an ever growing amount of new health news and information every day. And it is becoming increasingly difficult to know what to trust. �I am looking forward to this great opportunity to investigate, analyse and deliver health news and stories people can rely on to help navigate the expanding world of health and medicine.